The Supreme Court’s order to provide compensation and rehabilitation to silicosis patients in Madhya Pradesh has brought relief to many. The Court, on Wednesday, passed an important order asking the Gujarat government to pay Rs 3 lakh each to kin of the 238 deceased workers within a month. The Court has also directed Madhya Pradesh government to rehabilitate another 304 ailing patients. State governments of Gujarat and Madhya Pradesh had earlier not responded to the call of National Human Right Commission for compensation. Families affected by the disease have been waiting for more than 10 years to get some response from the governments. “Despite a National Human Rights Commission (NHRC) order in 2010 asking to compensate the kins of deceased workers, Gujarat had turned a blind eye to the matter,” says Amulya Nidhi, an Indore-based activist who has been campaigning for the affected. 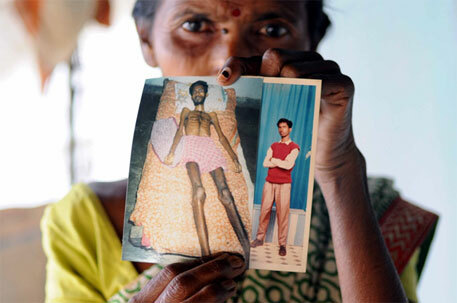 Hundreds of migrant workers contracted the incurable disease while working in factories located in Godhra and Balasinor towns of Gujarat. Workers from tribal villages of Alirajpur, Jhabua and Dhar districts in Madhya Pradesh who worked in quartz-crushing factories in Gujarat, were exposed to high amounts of silica powder due to poor safety standards, and subsequently fell ill. As illness worsened, many migrant workers died of silicosis. The public interest litigation (PIL) about silicosis patients was heard by a bench of Justice Kurian Joseph and Rohinton Fali Nariman. Senior advocate Prashant Bhushan argued the matter on behalf of the petitioners. Sanjay Parikh, on behalf of NHRC, pointed out that the workers have not received any compensation or rehabilitation from the government. Amulya Nidhi says that the order will help all silicosis-affected families in the country to demand due compensation for their plight. He adds that all state governments should put in place policies focusing on compensating and rehabilitation of silicosis victims in their respective states. The factories operating unregulated fashion should be monitored closely and due action should be taken to stop further deaths of poor workers, Nidhi suggests. How can Jharkhand fight distress migration?